Cats have been considered a symbol of good fortune in Japanese culture since ancient times. In recent decades the Maneki-Neko, a traditional Japanese figurine of a sitting cat who is waving one or both of its paws, has become a popular decoration all over the world. Maneki-Neko’s alleged fortune-bringing properties likely arose from an ancient belief that a shop owner will have a lot of customers and earn good money on a day when a cat raises its paws and cleans its face in front of their store. This belief might be nothing more than a deeply-rooted folklore superstition, but, in some instances, cats have actually brought good luck to people. Such was the case with Tama, a stray calico cat who ended up employed as the stationmaster and operating officer at the Kishi railroad station in Kinokawa, a city in the Japanese Wakayama prefecture. Tama was born in April of 1999 and spent the first seven years of her life wandering around at the station along with a number of other strays. During that time, an informal station manager named Toshiko Koyama regularly provided the cats with food and shelter. In 2006, at a time when the future of the station, owned by a company called Wakayama Electric Railroad, was uncertain due to a severe financial crisis, Koyama adopted Tama and introduced her to the other members of the staff. Kishi Station on the Wakayama Electric Railway Kishi Line. A year later, Koyama was officially elected as the stationmaster, and he immediately decided to pass this title onto Tama, who had already gained significant popularity for roaming around the station’s offices and cuddling with passengers. A station master’s hat and badge were made for the cat, and her primary job was to greet passengers. As you might have guessed, the feline station manager wasn’t paid in regular human money, but rather in large quantities of quality cat food. Employing a cat soon proved to be a rather beneficial decision for Wakayama Electric Railroad: the fluffy, good-natured Tama attracted many new passengers and visitors, and the publicity she received caused the station to become famous across the country. 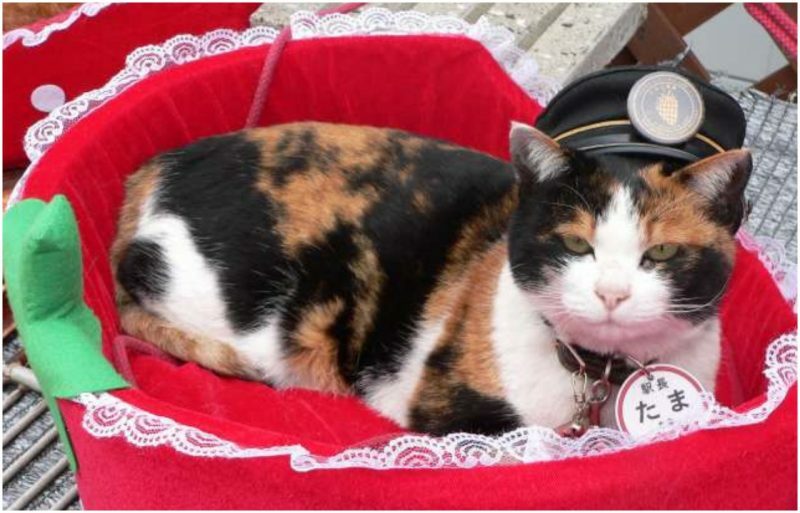 After a study, conducted in 2008, showed that the cat’s presence resulted in a $4.7 million increase in the station’s profit in just over a year, the company decided to promote Tama to the position of “super stationmaster” and employ two more cats, Chibi, Tama’s sister, and Miiko, Tama’s mother, as Tama’s assistant stationmasters. 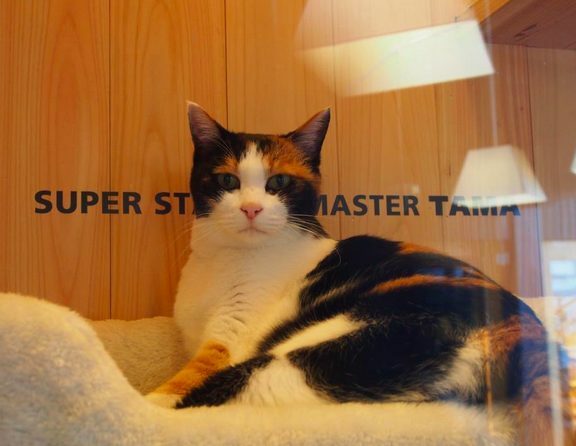 Also, the company introduced a number of Tama-themed attractions, such as the “Tama Densha” — a train decorated with cartoonish depictions of the famous cat, and Tama’s office — a “super stationmaster’s room,” a ticket office kitted out with a litter tray and scratching post. 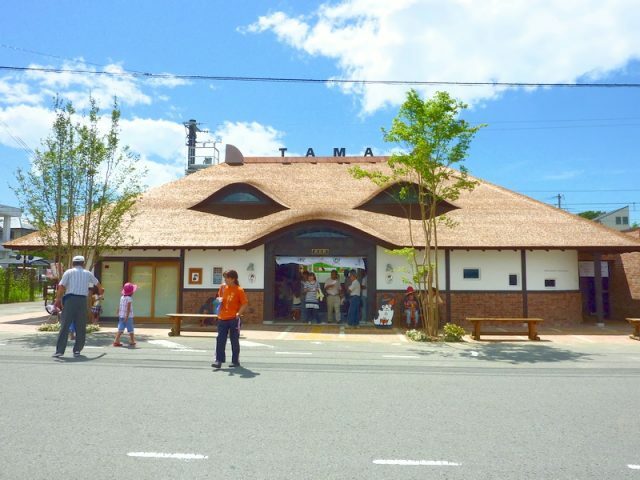 In 2010, the whole station was actually rebuilt to resemble a face of a giant cat. In Japan, the traditional mourning period for the loss of a loved one lasts for 50 days. 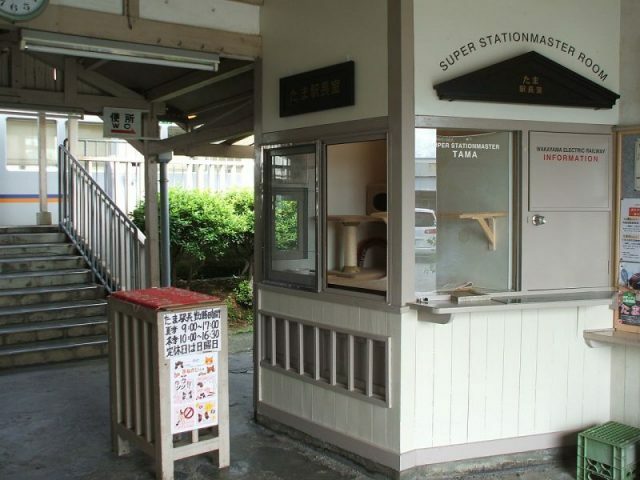 Therefore, the position of stationmaster at the Kishi station was vacant for 50 days following Tama’s passing. 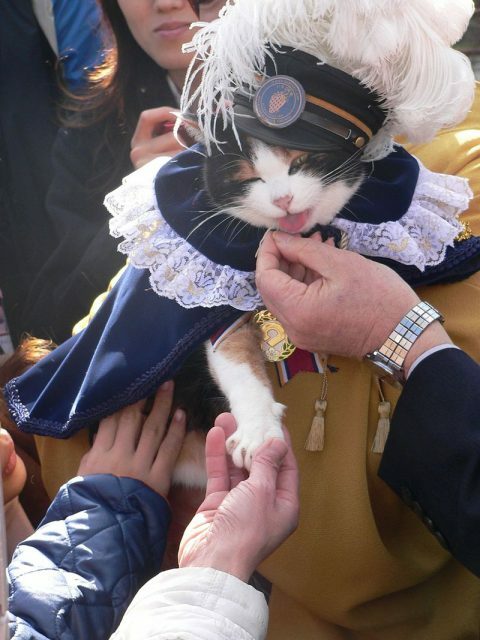 The next feline stationmaster, Nitama (the “Second Tama”) started working in fall of 2015; she was born in the city of Okayama and was rescued from underneath a train car by employees of the Okayama Electric Tramway. 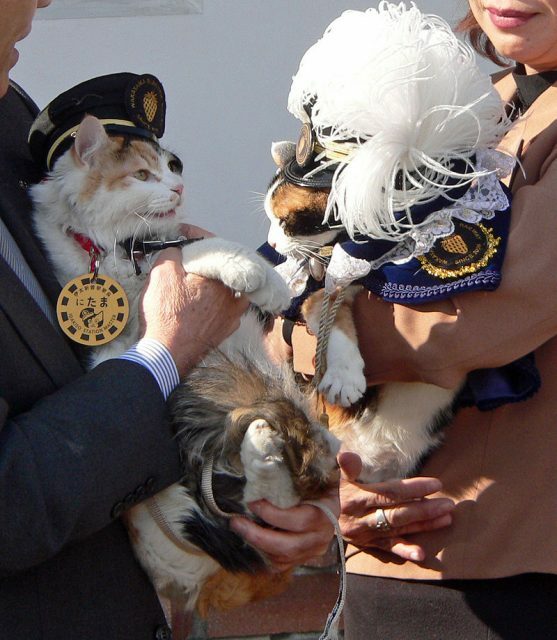 To this day, Nitama continues greeting many people that pass through the Kishi station on a daily basis; her helpers, two younger calico cats, make her job a little easier by handling some of the cuddling and meowing. Domagoj Valjak is freelance writer with a master’s degree in English and comparative literature. He has contributed to Taste of Cinema and The Vintage News.